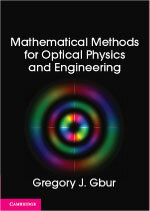 The first textbook on mathematical methods focusing on techniques for optical science and engineering, this text is ideal for upper division undergraduate and graduate students in optical physics. Containing detailed sections on the basic theory, the textbook places strong emphasis on connecting the abstract mathematical concepts to the optical systems to which they are applied. It covers many topics which usually only appear in more specialized books, such as Zernike polynomials, wavelet and fractional Fourier transforms, vector spherical harmonics, the z-transform, and the angular spectrum representation. Most chapters end by showing how the techniques covered can be used to solve an optical problem. 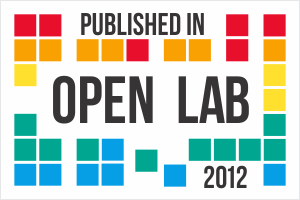 Essay problems based on research publications and numerous exercises help to further strengthen the connection between the theory and its applications. 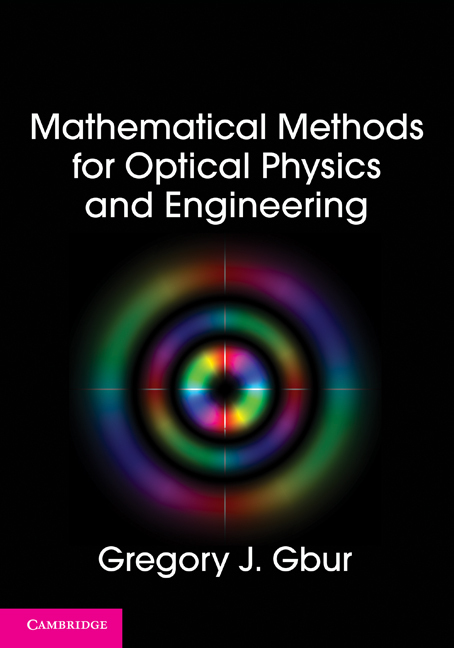 This page will serve as my personal book page for my Mathematical Methods for Optical Physics and Engineering, published in February 2011. I’ll add any news about the book here, as well as the inevitable errata and, hopefully soon, some solved problems for students to supplement the ones in the textbook. The errata for the book can be found at this link in pdf form. Hi there to every body, it’s my first go to see of this webpage; this blog carries remarkable and genuinely excellent information in favor of visitors.